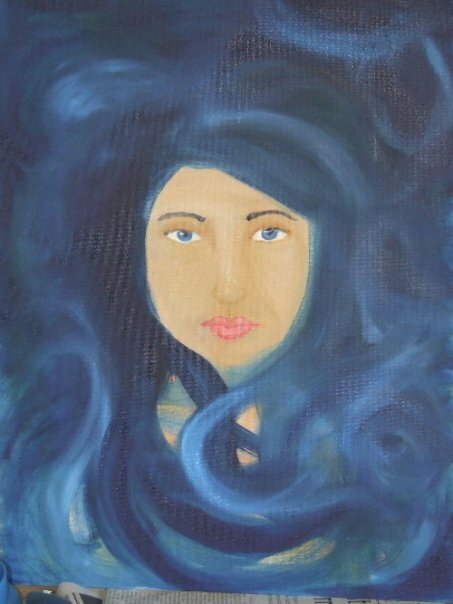 All the swirls I started drawing fresh for this challenge looked really naff, so I am submitting a photo of a painting I did of the Goddess Astarte, who appeared through swirls of light in a vision. I hope the folks over at Inspiration Avenue are cool with that. I had to look Astarte up, but I'm okay with her. :-) This is a beautiful painting. I love the way you swirled her hair. Gorgeous evocative painting, love how she emerges from the swirls. Fab for this week's IA theme.